NICE has released its first Guideline which covers diagnosing and managing pancreatic cancer in adults aged 18 and over.It recommends the use of a more accurate scan called PET-CT to diagnose and determine the stage of pancreatic cancer in patients. The scan will speed up diagnosis and more accurately determine the stage of pancreatic cancer in patients.It’s estimated by NICE, that the PET-CT scan will result in a 20% reduction in surgery to remove the cancer. Increasing the use of this scan will limit the damaging side effects for patients and ensure those with inoperable cancer can get earlier access to other treatments such as chemotherapy. 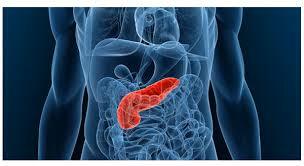 Pancreatic cancer is the fifth leading cause of cancer death in the UK. There are more than 9,500 new cases diagnosed each year. Once diagnosed, life expectancy is on average 4-6 months. This guidance also recommends regular checks for people who have 2 or more close relatives, such as siblings, children or parents with pancreatic cancer or Lynch syndrome due to their inherited higher risk of the disease. NICE also recommends increased support for the psychological impact that the cancer can have on patients, including anxiety and depression.